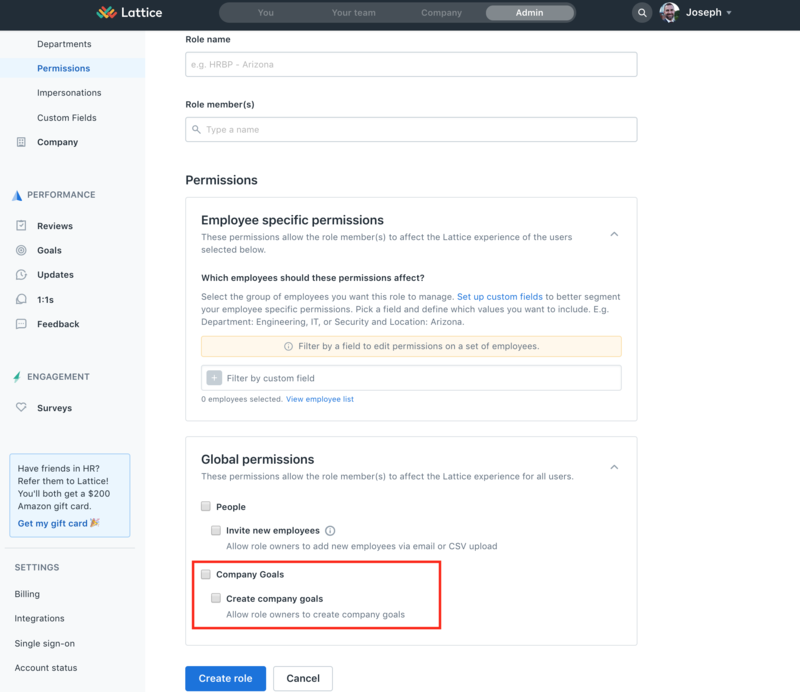 A Super Admin can give any user in their org special permission to create Company Goals. These Goals are public and visible to anyone in your org by navigating to the "Company" tab. 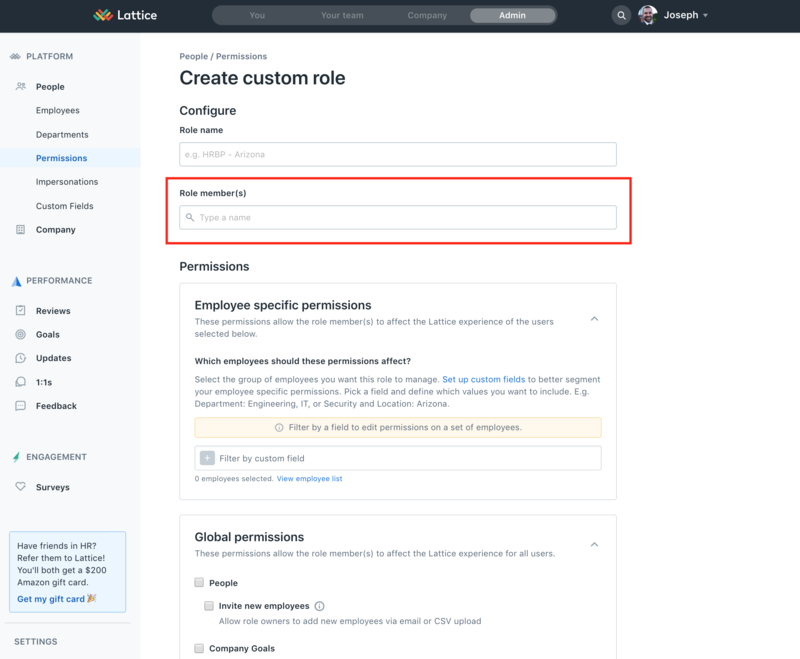 To give a user this permission, follow the steps below! 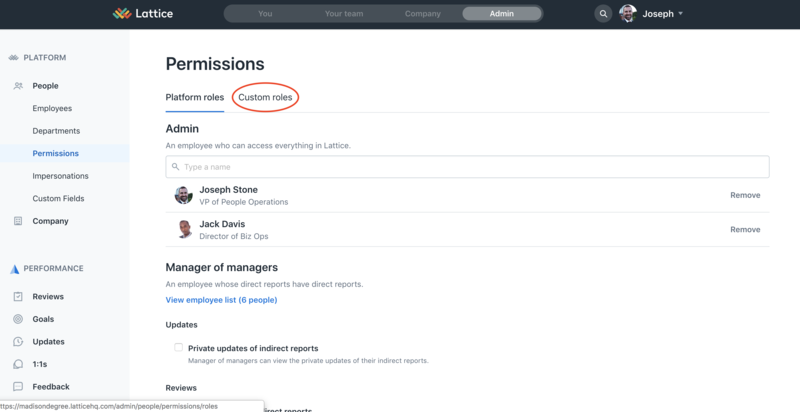 Step 3: Toggle to "Custom roles" found next to "Platform roles"
Step 4: Click "Create custom role"
Step 1: Add a "Role name"
Step 2: Enter the name(s) of the member(s) you would like to apply this custom role to. 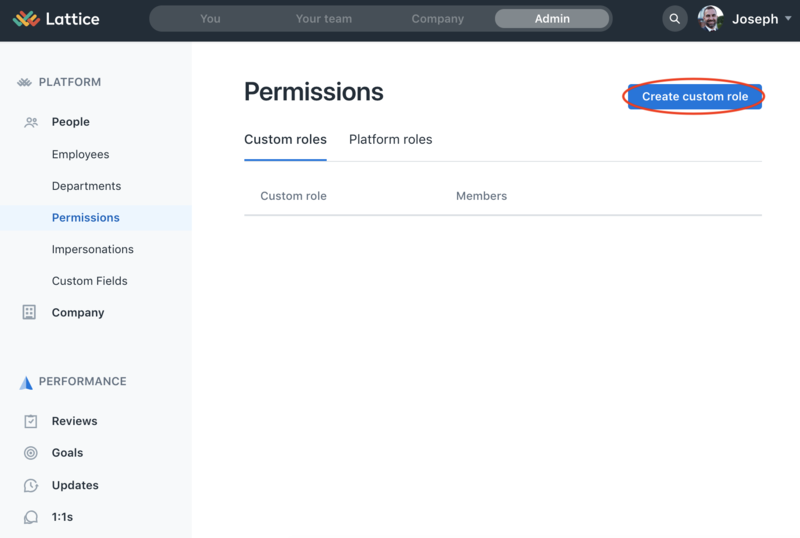 Step 3: Under "Global Permissions" check the box that says "Create Company Goals"
This user will now be able to create Company Goals! 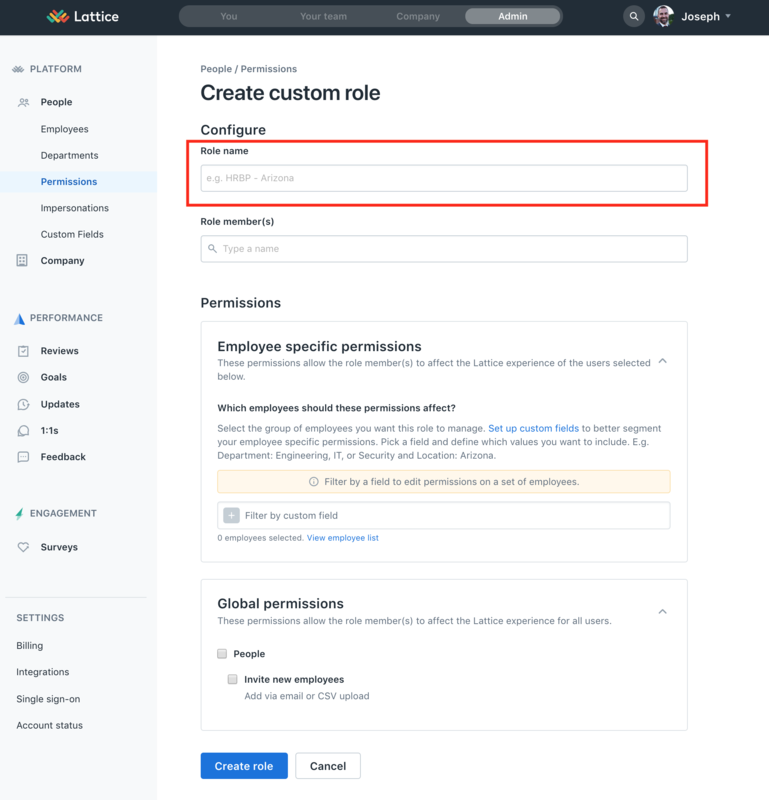 To learn more about the custom permissions you can give, check out this help center article here.